Being a Washington, DC native good restaurants are not hard to come by; however, great restaurants are. I am always looking for wonderful places to dine and suggest to our readers, especially those who contact us from out of town regarding our personal favorites. So let me start by saying, I do not get excited about sandwiches. I just don't. 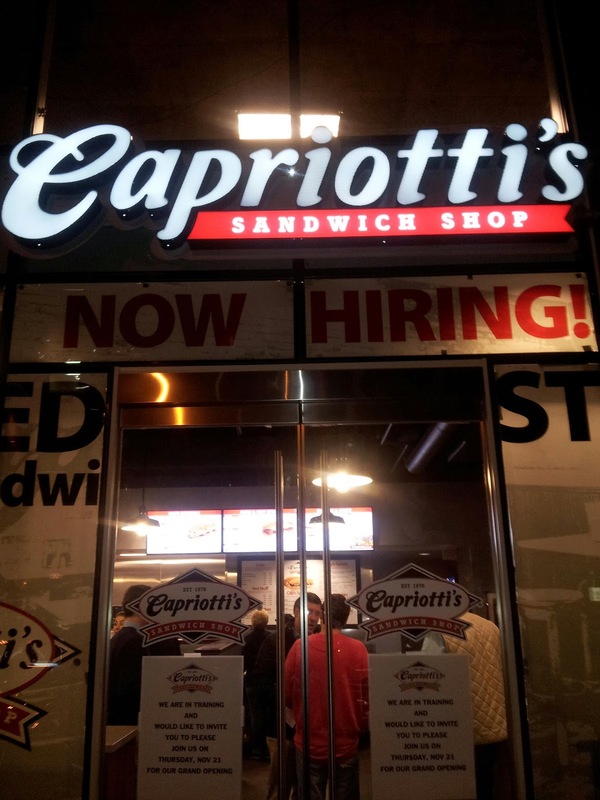 But I am excited about Capriotti's and that says a LOT. But I cannot get over how tasty their food is! Many times our readers inquire about casual dining, especially tourist who will be downtown or in Dupont Circle. We now have our NEW favorite casual place for sandwiches...CAPRIOTTI'S. Located right on M Street at 1800 M, with a M Street storefront diagonal to Ozio'z you will find the best sandwiches in town...LITERALLY. Have you ever eaten anything and woke up the next day thinking about that food? 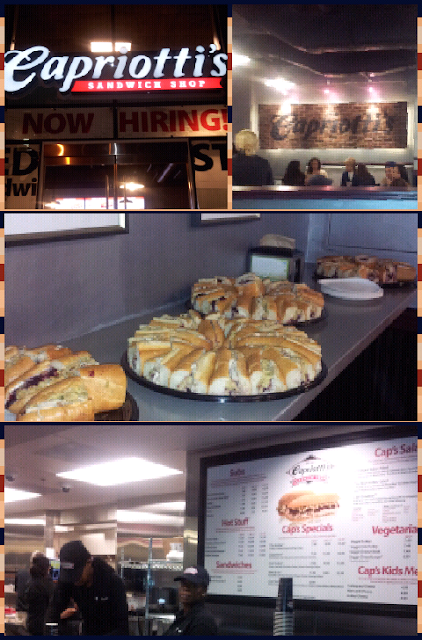 Capriotti's did that to me! Tara, of Georgetown Consulting Group told me of their soft opening so I stopped by with a friend. I ordered the "Capastrami" which is Pastrami with coleslaw and Swiss cheese. Not a fan of Swiss, I was easily able to substitute provolone. A bag of salt and vinegar potato chips and a fountain lemonade completed my order. I was floored when I tasted it. I was thinking...coleslaw...really? And REALLY...that is what made it pop. I could only eat half of the sandwich that night and ate the other half for lunch the next day. I was concerned because I did not think the sandwich would heat well in the microwave with the coleslaw, but 45 seconds later, it was amazing. The Grand Opening is Thursday November 21, 2013. BE THERE!!! If you can't make it then, you MUST stop in the next time you are near 1800 M Street, NW in Washington, DC or make a special trip just to taste! We were told Vice President Joe Biden has a favorite sandwich from Capriotti's (it has cranberry sauce in the sandwich!) and once you visit, you just might have one yourself!!! Ours...the "Capastrami" with provolone cheese! We will definitely be making special trips here to indulge. 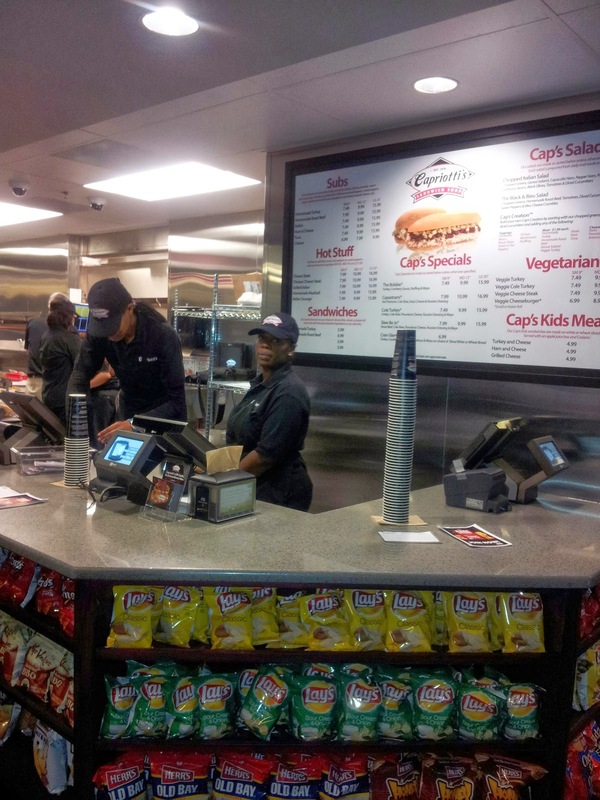 Please let us know if you visit and which sandwich is your favorite!